As Hurricane Irma makes landfall in Florida this morning, Porsche West Broward located near Miami is taking no chances, miraculously packing its complete inventory of over 300 cars worth millions of dollars into its showroom space. 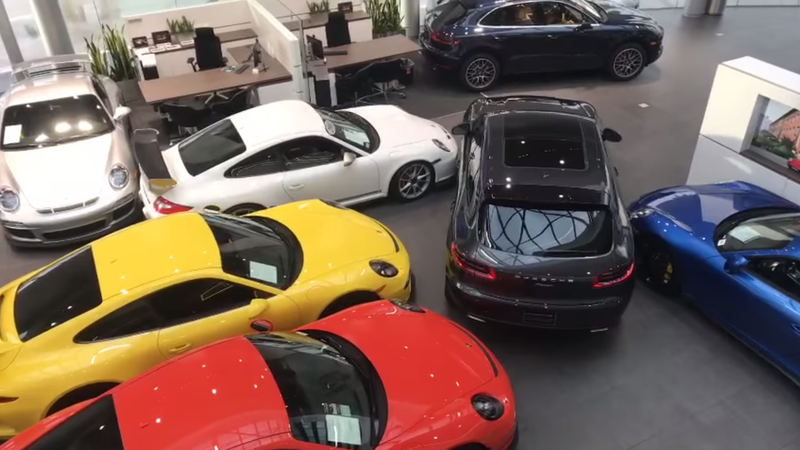 It’s actually very impressive to see just how much room there really is in those showrooms once you push all of the random plants and chairs out of the way, as evidenced by videos uploaded to Porsche West Broward’s YouTube page showing how the dealership has prepared itself for the imminent category four storm. As you can see, they’ve loaded every floor of the place bumper to bumper, wall to wall with millions of dollars of Porsches, even double stacking the lifts in the service bay to help accommodate their full inventory. CNN has reported that Irma made landfall this morning sustaining 130 mph winds, and the latest projections see the storm passing over the western side of the Florida peninsula. Still, a storm this big stretches wide, so the Miami area will still be affected. The visuals from the Porsche videos are impressive, but when you have to protect the entire inventory, things are going to get a little tight. Still, the cars are nothing compared to the potentially catastrophic damage Irma threatens to the vital infrastructure of Florida and its people, so here’s hoping everyone heeded warnings and has evacuated or properly prepared. Stay safe out there.